Discovered this podcast obsessing about The Last Waltz. Love the idea of an annual episode dedicated to the influence of this iconic film. Looking forward to the 3rd edition. Really like that Steven doesnât strictly adhere to the usual alt rock othrodoxy but also doesnât purposely go against it to be edgy. Heâs aware of the âcommon wisdomâ but he likes what he likes and is willing to discuss anything, as eps about bands like Dave Matthews Band shows. Even when I disagree with him I usually find his opinions interesting. And the guests are usually good and knowledgeable. Good stuff. Donât get me wrong, I love all things rock music but this just wasnât for me. I started with the Siamese Dream episode and there just wasnât enough there to get me to want to listen to the other episodes. If you're going to break down an album (or advertise a podcast episode as such) then break it down man. Go deep! You guys touched on most fans not knowing or caring about Corganâs missteps (I had no clue about an Alex Jones incident) and I think you were right. I didnât want an hour on how Corganâs personality effected the legacy of the Pumpkins. I wanted a deep dive into one of the great albums of the 90âs. That just didnât come through. One episode may have spoiled it for me, maybe Iâll check out a few more and re-review. For now, very disappointed. Hyden is a throwback â¦ not in a good way. One of the great things about music today is how integrated it is, how cross genre it is. Well, Hyden does a podcast on music as if hip hop, r&b, dance music (electronic or otherwise) of any kind, ever happened â¦ in you haven't read between the lines â this is the whitest podcast on music ever. It's like listening to a rock station from the 70s. On the plus side he has Klosterman on on occasion. That one star is for Chuck. Steve Hydenâs love for music is infectious. He injects joy into the listening experience thatâs you might find missing in this day and age. He has opinions on music for sure but his words just drip with sincerity that you find yourself open to them even if you necessarily agree. And it goes without saying the content and guests are just great. A worthy listen. Awesome, down to earth music podcast for both the casual and passionate rock and roll music fan. I came across this when I discovered there was a multi-episode series discussing Springsteenâs albums. If youâre a Springsteen fan, this is must listen material. After enjoying those, I have listened to several others. The one on Pete Yorn had me diving back into his entire catalogue. The Rob Sheffield interview on the Beatles had me playing the Beatles all week and looking forward to reading his book. This is a great series for music lovers. Thank you for producing it! I look forward to it every week. I value Stevenâs opinions (even when I donât always agree coughBoardingHouseReachcough) and I appreciate the care he puts into his work. He picks great guests, never grows tiresome, and gets better every week. Thank you very much. Great show, great guests. Always insightful and when he gets the real rock and roll heavy hitters on, you're in for some memorable stories. Loved the Pearl Jam and Bruce series, and Steven's appreaciation for Phish is genuine and welcomed. His interview with Mike Gordon was fantastic. Steven has a great way of keeping this show real. His interviews consist of extremely well-informed questions and relaxed, interesting mostly big-name guests. This is a professionally crafted "radio show". It's set up like a NPR-style long-form radio show but with a few short commercial breaks. I'm a big fan. This is the best rock and roll podcast out there. Steven Hayden is a gentleman and a scholar. My only gripe is with some of the sound effects used in the intro. Keep it up Steven! Great rock and/or roll podcast! My process is always the same: I listen to Steven Hyden talk about an album or artist, then l listen to that album/artist as many times as possible. Even with something Iâve played 4,192 times, like Yankee Hotel Foxtrot, Hyden and his guests always help me find a new appreciation. Iâm anxiously awaiting the upcoming multi-part Springsteen series! My favorite music podcast. Steven is super thoughtful and always manages to spark conversations and produce insights that I connect with. He's pretty ecumenical about rock and music culture generally too, which I appreciate. Really enjoying the PJ episodes. Loved the Mike Gordon interview. He's a very interesting and chatty guy. No surprise there. Thanks for getting him. Hyden has singular POVs on familiar rock topics (Beatles, Dead, Limp Bizkit (!)) which freshen the hell out of them, plus he takes terrific looks at stuff that doesn't get that kind of attention. His guests are wonderfully varied and good company; the vibe is always chill, conversational, insightful, and fun, dammit! A real fan, always a terrific writer (find any of his stuff; past or present on Google site links, buy it on Amazon), and now the host of this excellent podcast, a true blast to listen to - thank you for all of it, man!! I never write reviews, but I felt obligated in this case because I really enjoyed Steven's writing @ (the former) Grantland. I'll cop to a little generational bias, as I'm the same age as Hyden; but I think the pod has fun topics, good conversation, and Hyden's funny without ever trying too hard. There's a lot of great rock music out there, and listening to Steven is a great way to learn about it. Got hooked from the Vitology-ology series. Keep it going Steven!! I purchased Steven's book, 'Your Favorite Band Is Killing Me', last year and loved it. On the podcast, he provides insightful opinions on some of the genres greatest artists, albums, and a plethora of great interviews as well. If you love all types of rock music, check this one out. I can grow a little tired of rock critics' fondness for their opinions, but Hyden's humility and the great info revealed in the conversations trumps all. So many fun episodes. Good guy doing the lord's work repping rock music in the 21st century. Steven always has an interesting take on things and very engaging with the artists. Always a reliable pod and I would be remiss not to mention his excellent online writing and books as well. Give it a try and you'll love it!! Love the pod, but it could really use a little help in the production -- this most recent FJM interview was pretty rough to listen to, I had to turn it off because I couldn't make out most of what he was saying on the speakerphone connection. Also the end-of-year interview with Ian Cohen, his line is so bad that i had to stop listening as well. but otherwise i love it! Amazing podcast, very engaging with awesome rock music discussion. Music/pop culture writer Steven Hyden's byline on the recently defunct Grantland was the best reason to visit the site. Celebration Rock is now the best reason to pop open the Podcasts App. Celebration Rock is one of my go-to music podcasts. Always has great guests, and gets me interested in topics I didn't think I would be. Check it out! Love steves take on my favorite indie bands and bringing in interesting guests. I really get a new and deeper appreciation for the music. Also enjoyed Steven's book very much. This is my favorite podcast right now. As a 30 something that grew up a voracious music fan, I've felt like I don't have these kinds of deep dive conversations with friends like I used to. This is lighting up a part of my brain that hasn't been activated in a while and I love it. I loved his writing at grantland and his book. If you are a music fan it is a must. This is the rock podcast I've waited my life for. Brilliant conversation and analysis. Look forward to it every week!! Amazing podcast. Hyden is one of the best music writers alive, and his guests are top notch.His episodes with Chuck Klosterman are especially great, and it would be awesome if they could just spin off and have a weekly pod. I love this podcast. Very informative and interesting. I find it very enjoyable and highly recommend! 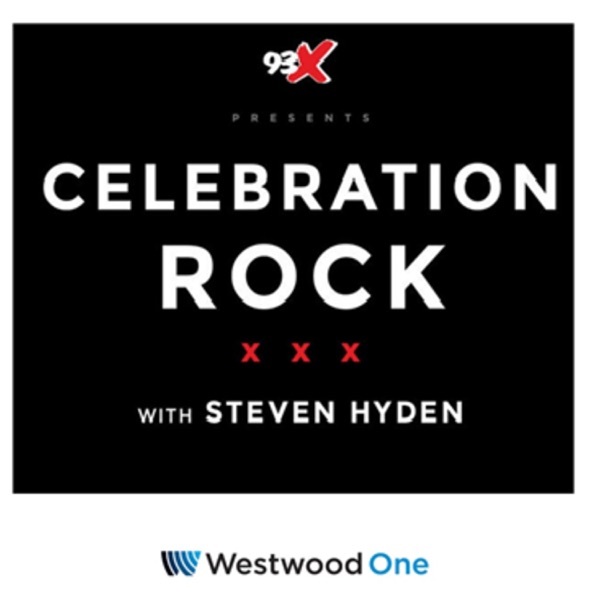 Steven Hyden is easily one of the best rock critics writing about music or otherwise today, and I love this podcast for two reasons: It's one of the few that is dedicated to rock specifically and shows a deep love for music with guitars that makes you feel something, and it goes beyond being a podcast that just reviews albums. It's discussion of trends and history is so thoughtful and learned and perceptive to the Internet music culture today, and he gets equally great rock critics and writers to talk shop with him. The interviews with rock stars are solid too, and I especially enjoyed listening to Hyden geek out talking to Rick Nielsen of Cheap Trick. Keep it going! First the good: Hyden is an engaging hose and has interesting topics and guests week to week. If you want to listen to smart talk about "rock" music this is a great podcast. The bad: It is not a deal breaker but the audio levels of the participants is often out of sync. Meaning: Hyden will be talking and the volume is good, then his guest will talk and you need to strain to hear then; if you turn it up Hyden will come back like the voice of God. I had to stop listening to some other music podcasts because there was the feel that they only discussed a band because it felt "cool" or required to do so. Steven Hyden creates conversation in which his passion for the musicians is evident and refreshing. Hyden explores -- and celebrates! -- rock music thoughtfully, passionately and fair-mindedly. Whether he's knocking around a subject such as Radiohead with a fellow music scribe or interviewing someone such as Beach Slang's Jame Alex, Hyden's show is always fun and engaging. A life affirming conversation between James Alex of Beach Slang and Steven Hyden. Steven tends to ramble a bit, but that's only what I would also do if I had my own podcast. Can't wait for him to host the following guests: Rob Sheffield, Jim DeRogatis, Mike Powell, Tom Breihan, Maura Johnston, Daphne Carr, Sasha Frere-Jones, and - of course - Chris Ott. Feel like I've been waiting for this podcast my entire life. Must listen for fans of Indie Rock.